Orange blossom is used in making perfumes, food essences, beverages, distillates, jam, Persian Gaz nougat, Persian Sohan toffee, etc. Babol and Shiraz are both famously called 'the orange blossom city', and in May, their intoxicating smell is simply addictive. One of the most important medicinal properties of orange blossom is its effect on the nervous system. It is also an effective ataraxic and appetizer and can help reduce coughing, nervous excitement, and migraines. It can strengthen the stomach and prevent an irregular heartbeat and anxiety. Orange blossom is recommended for controlling seizure and heart attack. You can drink orange blossom at nights if you are suffering from lack of sleep or insomnia. 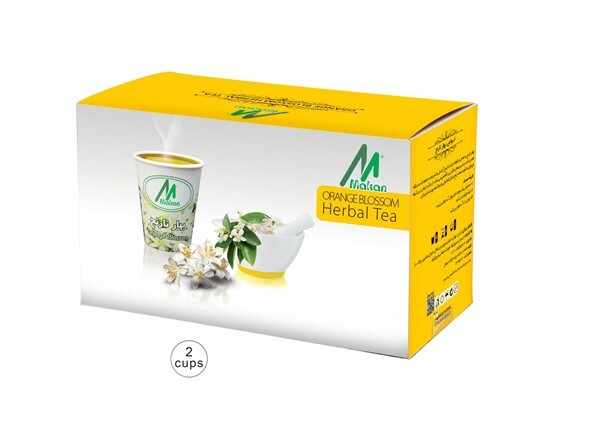 A new genius idea is to fix orange blossom pods in the bottom of paper cups, making it possible to prepare a delicious and healthy herbal tea in just a minute. These environment-friendly flavored tea cups are recyclable, and can save up time and energy.